Barnsley forward Mamadou Thiam wants more goals to add to his stunning winner over Luton at the weekend. The former Senegal youth international came off the bench to fire an unstoppable strike into the top corner as Daniel Stendel’s side secured a 3-2 victory in at Oakwell. “I saw the goalkeeper and I know if I shoot like that he can’t do anything,” said Thiam, speaking after the Reds continued their unbeaten home run. “We needed that because this season we have to win those games if we want to go back into the Championship. His strike took his tally to four for the campaign after he hit just one goal from the penalty spot last term in the Championship - his debut season in England. 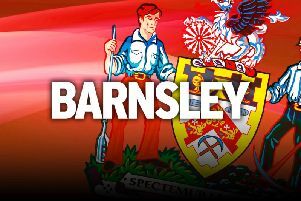 Barnsley now sit third in League One after the victory and have a game in hand over leaders Portsmouth and second-placed Peterborough. “We have a very good team with great quality,” continued Thiam. Head coach Stendel revealed the 23-year-old was close to a starting berth but the Barnsley boss selected youngster Jacob Brown to lead the line. “I’m happy for him because he trained very well this week,” said the Reds boss of Thiam. "It was a close decision to say he is not in the starting 11. “I spoke with him after the game and said when the performance in the game and training is the same, he can play in the starting 11 every week.